That was a simple Sunday that started with the usual home made bread for breakfast. Sundays can turn out to be one of the laziest days, yet the best is expected to come from the kitchen. Thankfully for me, Cooking has always been a stress buster and an energy creator. This attitude can be termed as the height of optimism by those relaxing Sunday souls, who refuse to enter kitchen on holidays. With the same positive energy, to make that lazy Sunday a flavorful one, I chose to try a Mutton Biriyani, a favorite delicacy throughout the world, with some good mathematics to post here. Mathematics with Biriyani…. certainly not written due to stress in brain activity. 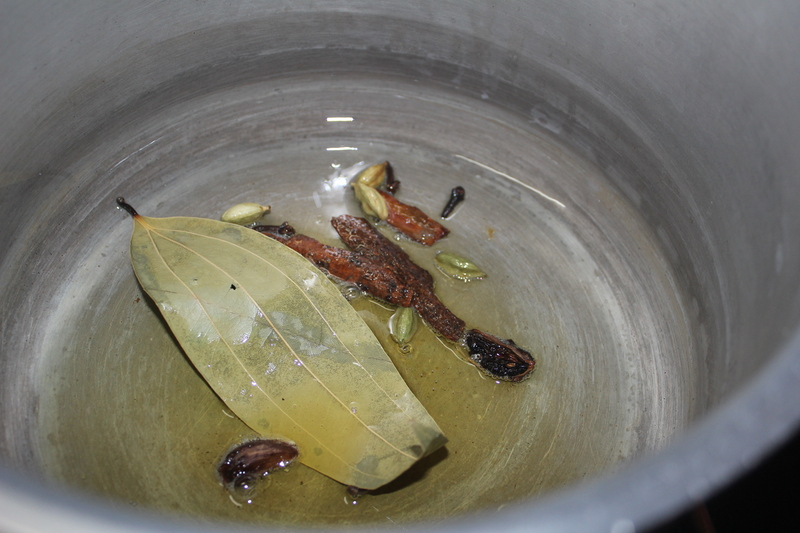 But, Biriyani needs meticulous measurements to bring out that ultimate aroma and taste. I’ve tried to be accurate with the quantity of ingredients involved in the making of Mutton Biriyani. 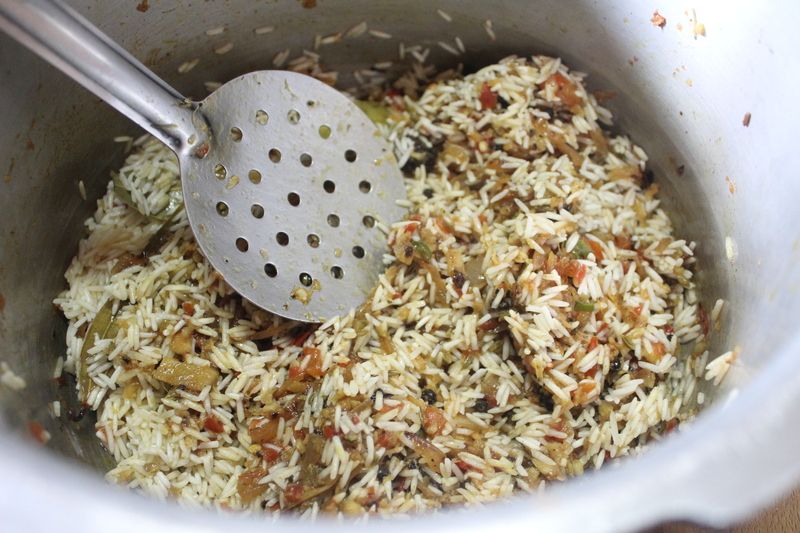 Additionally, reducing the effort involved in the making of good Biriyani, Pressure Cooker is used for quick cooking. This is no advertisement for Pressure Cookers, but believe me… it does reduce the stress of watching the Biriyani in a Pot or Handi cook to long grainy soft perfection. Though it may appear to be a dish indigenous to India, in reality the dish originated quite far away. 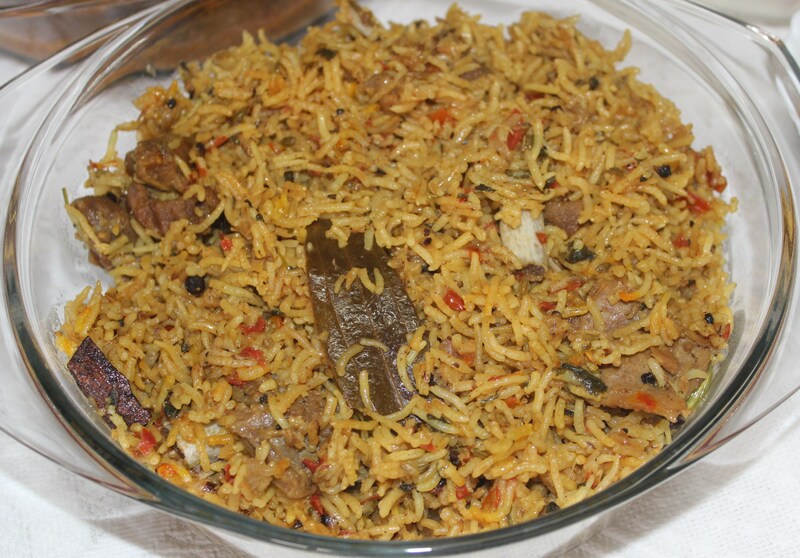 Biryani is derived from the Persian word Birian, which means ‘fried before cooking’ and Birinj, the Persian word for rice. While there are multiple theories about how biryani made its way to India, it is generally accepted that it originated in West Asia. There are records of a rice dish known as Oon Soru in Tamil literature as early as the year 2 A.D. Oon Soru was said to be made of rice, ghee, meat, turmeric, coriander, pepper, and bay leaf, and was used to feed military warriors. Just type – ‘oon soru’ and browse the internet. Your box would be filled with websites that talk about the same above said detail, verbatim. Which website posted the basic article is unknown. The above article gives a very fine and elaborate write up on different biriyanis in India. An elaborate research would provide different insights into the culinary secret behind the speciality rice in Tamilnadu. I’ve heard people well versed in Tamil literature, talk about ‘Oon Soru’ and the practice of cooking rice with meat among the early Tamils. 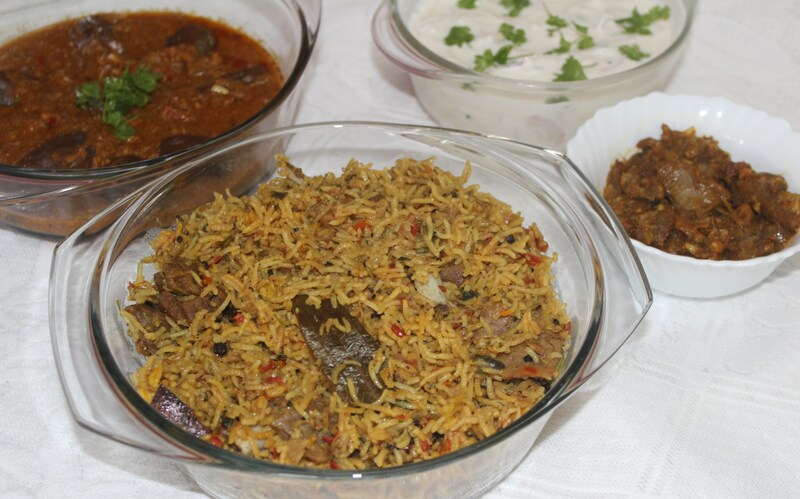 With various popular versions of Biriyanis- Hyderabadi, Lucknowi or Old Delhi’s famous Mughal preparations, Tamilnadu has its own versions – Dindukkal Biriyani, Arcot Biriyani, Ambur Biriyani, Chettinad Biriyani and so on. 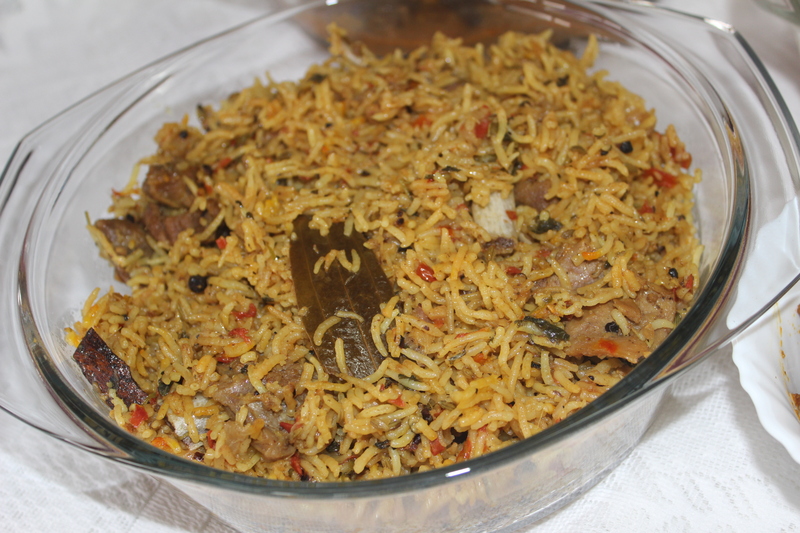 There is one more variety that has no popular name, but the version is different from home to home – that’s the Home Made Biriyani, with the tasteful signature of the amateur home cook. So, this Sunday I decided to make the Home Cook’s Mutton Biriyani – with step by step elaborate procedures for purpose of sharing here. 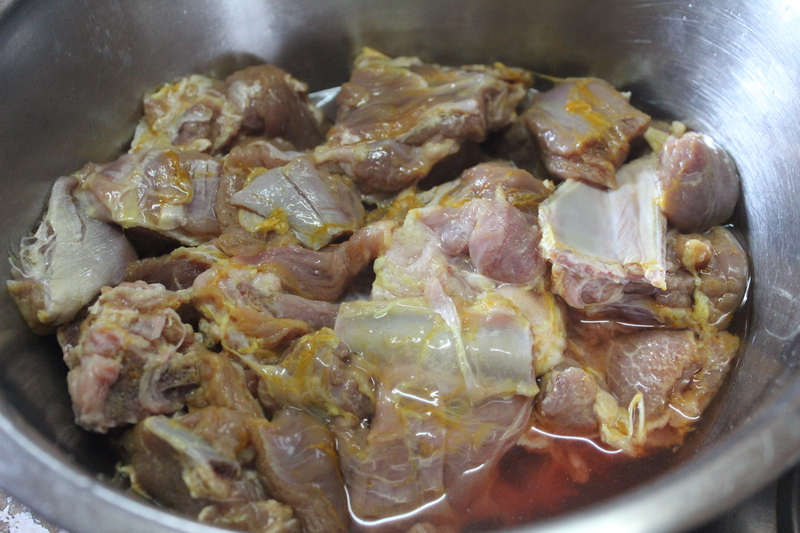 This is a two-way process, where meat is pressure cooked initially with turmeric and salt, and then pressure cooked again together with spices and rice. This second part, makes the biriyani an easier version, where no ‘Dum’ (closed cooking in sim flame) is required and hence, is less time consuming, but no compromise in taste. 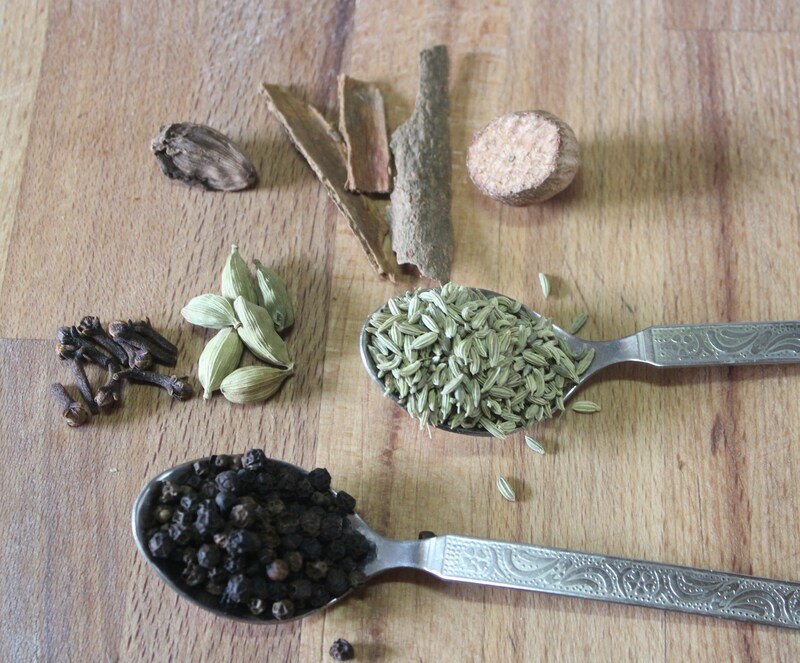 With the urge to cook Biriyani, came a list of other things that go well with the exotic Rice. A successful Sunday with special delights calls for 2 connected posts on the lunch served. So, first – Biriyani and Pachadi, I call it the match made in kitchen, which is supposedly a cook’s heaven of culinary creations! 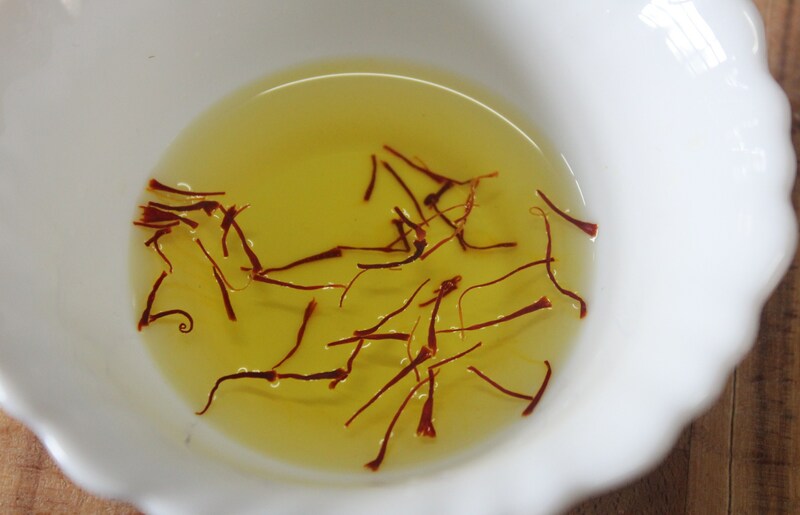 big cardamom – 1 no. 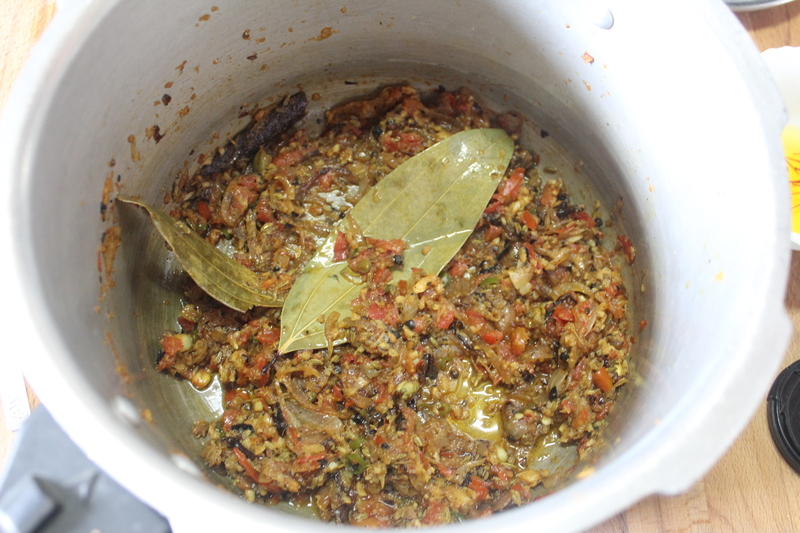 Do not forget to use the meat broth to cook the final Biriyani. 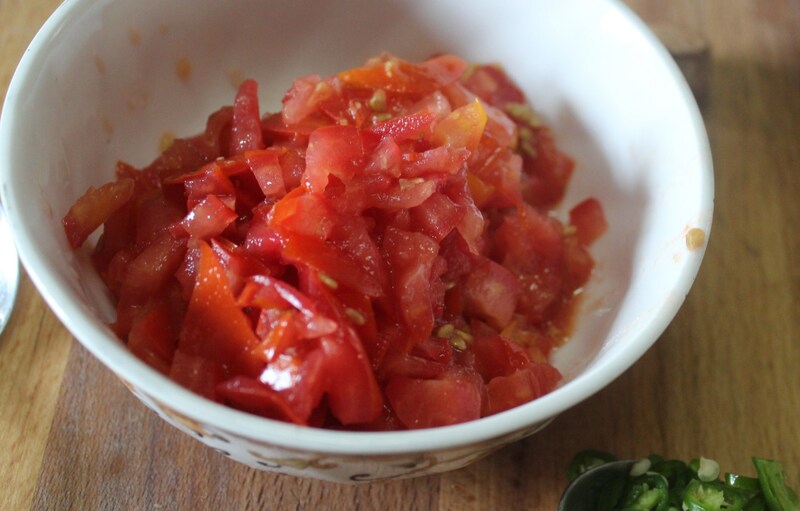 Part III– Getting things ready – grinding, slicing, chopping, caramelizing. Coarse grind ginger, garlic, fennel seeds and pepper corns together in a blender (without water). Though full pepper corns are fried with spices in Biriyani, I prefer to grind as there is no wastage on the plate. 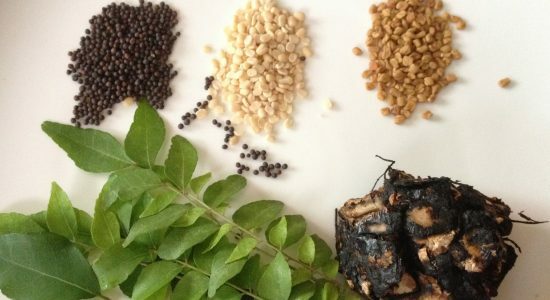 Additionally, ground pepper corn spices up the Biriyani with its unique flavor. Thinly slice onions. Caramelize sliced onions in 3 tsp oil. 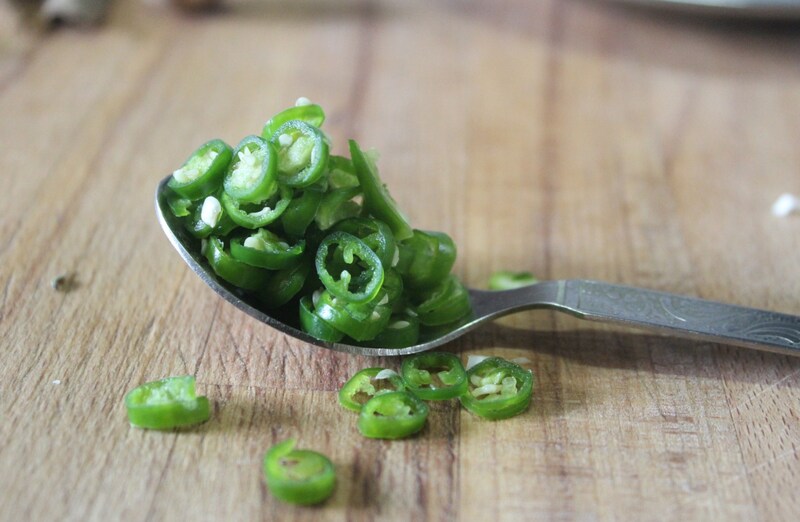 Finely chop green chilies and tomatoes separately. Keep aside. 1. Heat pressure cooker and add oil and clarified butter. 3. Next, add the ground ginger-garlic-pepper-fennel paste with green chillies and sauté. 4. Add the chopped tomatoes and sauté till soft and mushy. 5. Then, add the caramelized onions and mix well. 6. 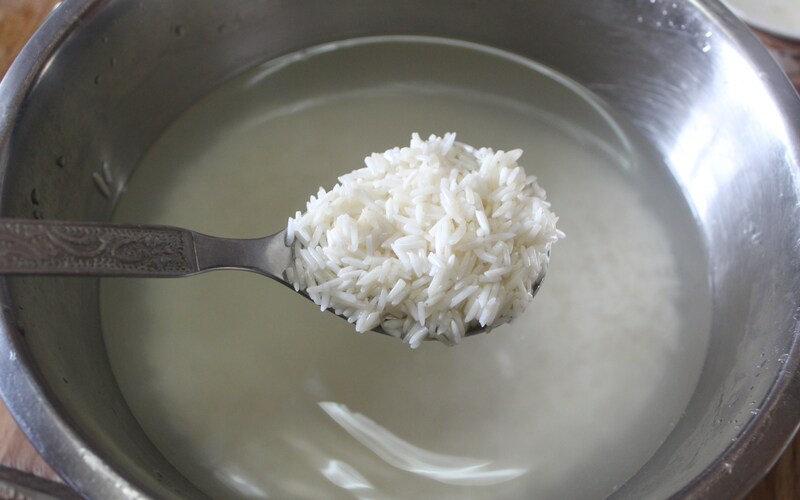 Strain rice without water and add to the hot ingredients in the cooker and stir well. 7. Add nutmeg, turmeric powder and salt. 8. Strain mutton and save the cooked broth. 9. 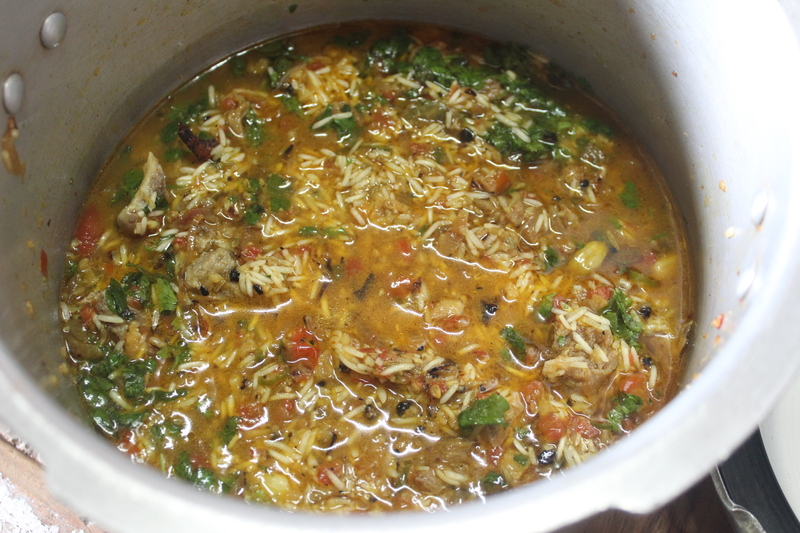 Add cooked mutton pieces and mix. Now, it’s time to add water. I go by this ratio and it turns out good. So, for this biriyani, where 1 ½ cups rice is used, less than double or less than 3 cups, i.e. 2 ¾ cups of water is used. That works out to be 2 ¾ cups water for 1 ½ cups of rice. Alter plain water according to the quantity of mutton cooked water you have. Add water, mix well. 11. Check for salt. As mutton is already cooked, the water tasted does not consist raw meat. So, go ahead, taste and add salt if needed. 12. Close cooker with lid in full flame. Keep in full flame for 3 whistles. Switch off and wait for the pressure to release by itself. 13.Open cooker and serve hot Biriyani. Biriyani- Thayir Pachadi / Biriyani- Onions in Yoghurt: Match made in heaven! 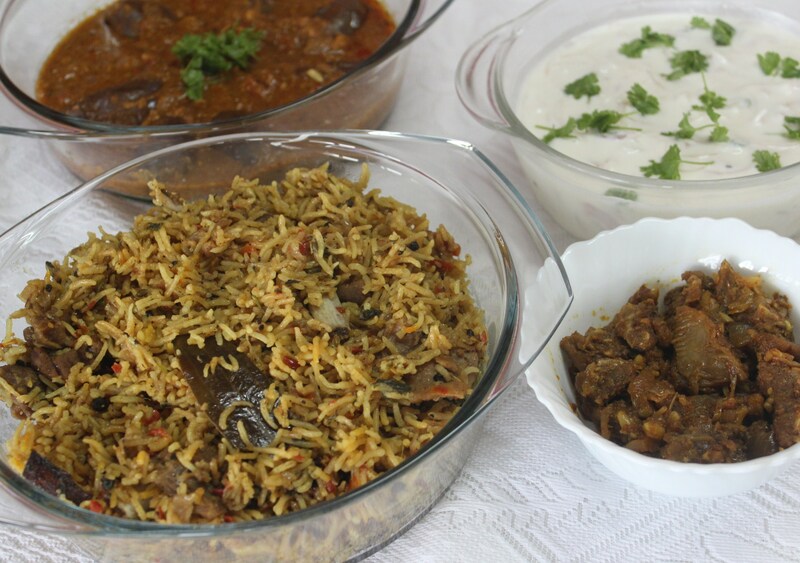 Biriyani needs a Thayir pachadi or Raita as in North Indian cuisine. Vegetable, chicken or mutton biriyani, is incomplete without the accompaniment of Pachadi. Though, there can be many varieties of Pachadi/Raita. In Tamilnadu, a pachadi with just onions and little green chillies for spice is generally served with Biriyani. 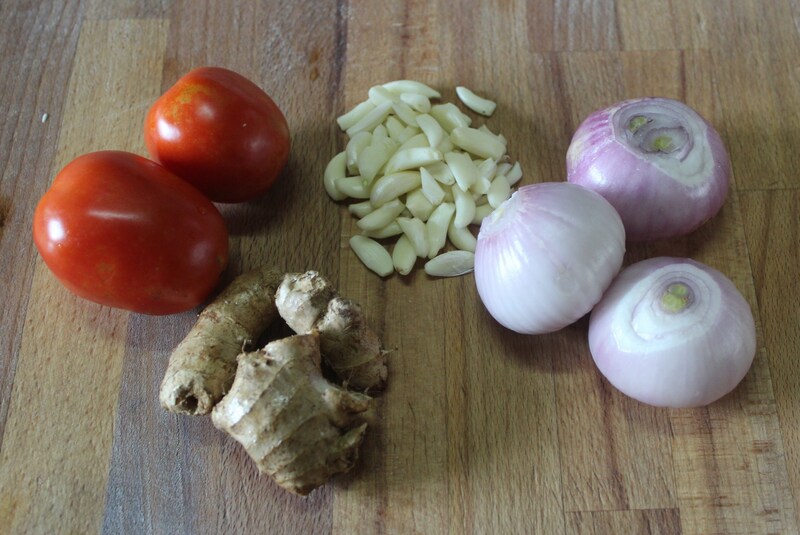 Mix all ingredients together and garnish with coriander leaves. 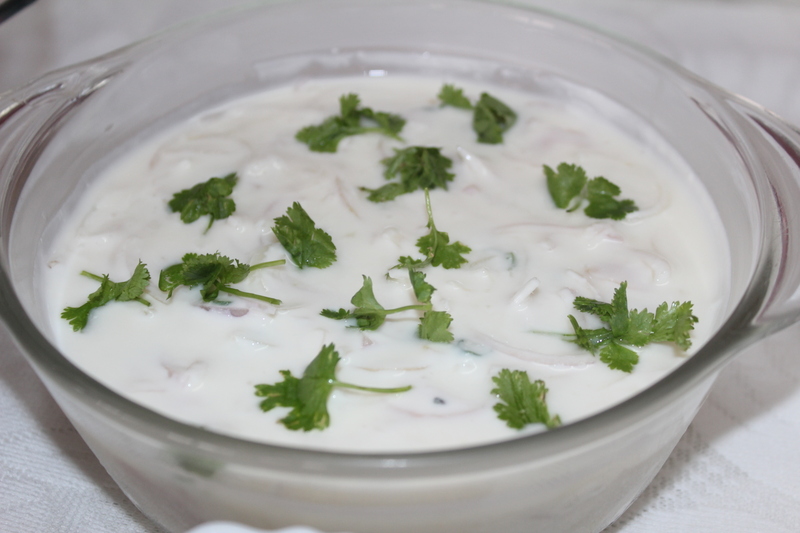 In a restaurant that serves, vengaya pachadi or onion raita – yoghurt is less than mentioned above. But I prefer to have more yoghurt to the quantity Alter quantity of yoghurt as preferred.